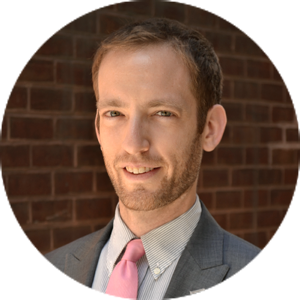 Ben Stone is Director of Arts & Culture at Smart Growth America and its program Transportation for America. Ben leads the organization’s broad efforts to help communities across the country better integrate arts, culture, and creative placemaking into neighborhood revitalization, equitable development, and transportation planning efforts. Ben holds a Bachelor of Fine Arts from the School of the Museum of Fine Arts, Boston; a bachelor’s degree in American Studies from Tufts University; and a Master in City Planning from MIT, where he focused on land use planning, urban design, and the intersection of the arts and community development. Prior to joining SGA, Ben served as Executive Director of Station North Arts & Entertainment, Inc., where he employed an arts-based revitalization and placemaking strategy to guide development in the state-designated Arts District in Baltimore. Under Ben’s leadership, Station North became a national model for creative placemaking and equitable development through the arts and innovative collaboration. Ben has also served as an architectural designer/planner for the Baltimore Development Corporation, working on revitalization projects in Baltimore’s Middle Branch, Central Business District, and Station North. As a frequent conference speaker and guest lecturer and critic, Ben has advised students, practitioners, and artists on creative placemaking and community-engaged art. Ben has been recognized as a Fellow of the Salzburg Global Forum for Young Cultural Innovators (2014), a Baltimore Business Journal 40 under 40 Honoree (2014), and a Next City Vanguard (2012). Ben can be reached at bstone [at] smartgrowthamerica [dot] org.